1. Seattle The league’s most consistent team up until this point. We’ll see what they’re made of this upcoming week against a team that has an explosive offense as well as good D.
2. New Orleans Extremely shaky win at Atlanta, now Drew Brees faces the best secondary in the league. They’ve had trouble stopping the run all season long. Seattle will give them a heavy dose. 3. New England The hard part of their schedule is now out of the way. Look for them to run the rest of the regular season table. Road to the Super Bowl might have to pass through Foxboro. 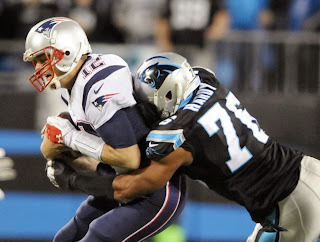 NFL Brain Dump - Lights, Cam, Action! The Carolina Panthers are now seen by many as legit Super Bowl contenders. If you've been reading this column regularly, you know that I was high on them when they were a 1-3 team; they just caught some really bad breaks early in the season. Pat on my back out of the way, most of America just witnessed last Monday night why I was so high on them. 1. Denver Reclaimed top dog status in the AFC with huge win over division rivals. Peyton Manning is probably the best at salting games away with a lead. 2. Seattle They’ve just ran through competition without a real challenge since the Indy game. They get one after the bye. 3. New Orleans Came up big under pressure. They really need to find a run game or else defenses will just tee off on Brees. That balance is needed. 1. 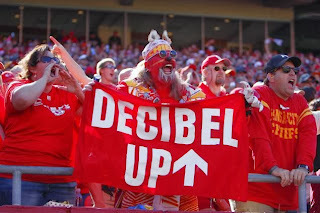 Kansas City With a week to prepare for the Broncos, they have a chance to silence the doubters. 2. Denver They treated the Chargers like the practice squad and shut it down late in the game. 3. Seattle They control their own destiny, now Harvin adds some explosiveness to the offense. Is there anything newsworthy from the past couple weeks to discuss? I have had so much to say about the Incognito situation that I thought it was best to stay out of harms way and don't say anything. However, I can't just say nothing even though I learned that's the path to take if it's not anything nice. That's the conclusion I've come to on this situation. 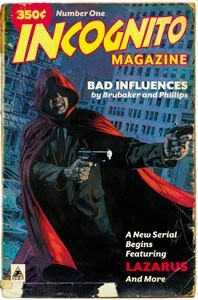 Maybe if Incognito didn't have the reputation of a jerk, he would have probably been given a pass. Because after all, America loves to give people who are contrite a second chance and even third chances unless you happen to run a dog fi. . . nevermind, see I have too much to say. Eric Bledsoe's early season play has been a revelation for many basketball fans. 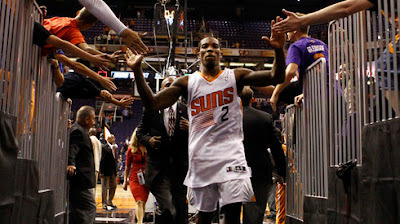 He's lead the Phoenix Suns to a surprising 5-2 record to start the season. It was conceded that the Suns would be one of the organizations that would want to tank this season; especially since they traded Marcin Gortat, who most pundits believed to be the team's best player, prior to the start of the season. Apparently you can't really grade a player's competitive nature when evaluating him; not when he's ready to seize his shining moment. I want to start this off by saying that Kyrie Irving is such a phenomenal basketball player. Prior to this season, I wrote some nice things about what he needs to do to take his game to the next level. So, let me take a look at the sample size that is the six game start to this season and examine where his game is at. He's one of the best young guards this league has; just not one of the best young POINT guards. I've always dismissed the notion that he is currently an elite point guard based on my analysis that his skill set is better suited to play shooting guard. He has, however, slightly elevated his game as far as setting his teammates up this season; he eclipsed his career 5.7 assists average in five of the six games played. 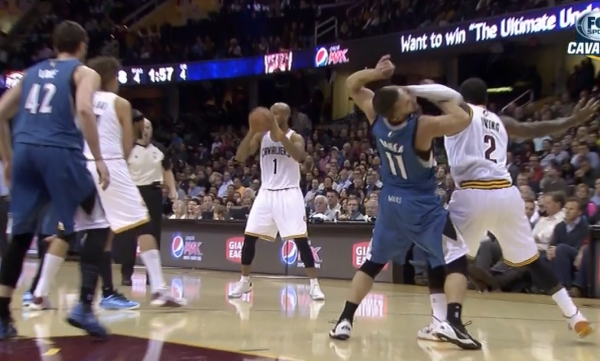 Forget about what I think about what defines a point guard and his shortcomings in those areas though. A few teams caught some unexpected losses last week but much of the top 10 remains the same. The Colts continue to impress while Seattle and Kansas City are barely escaping. 1. Kansas City- They get a well deserved week off before a showdown with Denver. They'd be wise to figure out O-line protection so that Alex Smith can exploit a shaky Bronco secondary. 2. Denver- Let’s see if they’ve fixed the defensive woes during the bye week. The Chargers will surely test them. 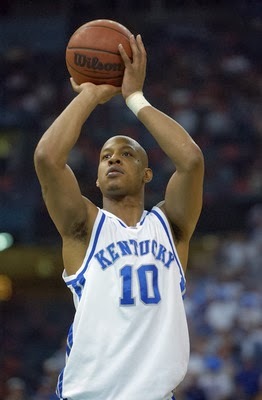 Keith Bogans was implanted as a starter from the day he set his feet in Lexington. He made the SEC All-Freshman team in 2000. The 2000/01 season was his best individually when he averaged almost 18 ppg and NBA draft experts had him pegged as a potential lottery pick. He decided to stay for four years, and in his senior season, he lead the Wildcats to an undefeated conference slate; they also finished the regular season ranked on top of the AP polls. That team was nicknamed the "Suffocats" for the way that their defense suffocated opponents. There was high National Championship hopes for the Big Blue Nation but tragedy struck as Bogans suffered a high ankle sprain in the sweet 16 win over Wisconsin. Bogans made a valiant effort to try to lead his team to victory over Marquette two days later but it was all for not as Dwyane Wade ripped his one-legged defender apart for a 29 point triple double. Tayshaun Prince arrived in Lexington the year after Tubby Smith's first Big Blue squad cut the nets down. He was the first of Tubby's small handful of blue chippers that played in Rupp Arena. He never turned out to be what most of Kentucky fans were used to seeing from top flight recruits. What he did become was the exact type of basketball player that Tubby wanted for his system. In his junior year, he garnered SEC Conference Player Of the Year honors. His gritty play on defense and intelligent play on offense carried over to a lucrative professional career. 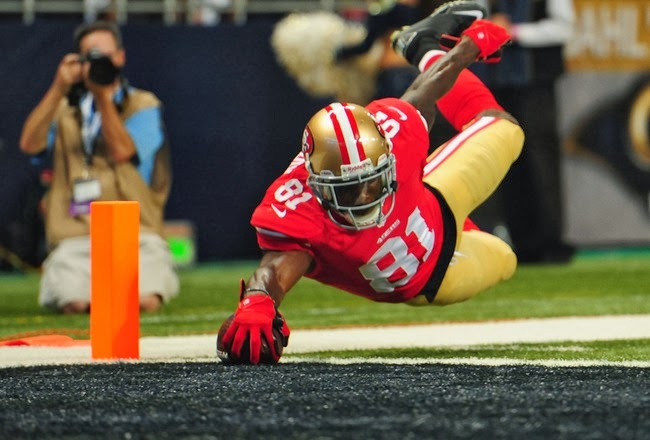 This week's brain dump will take a brief look at some of the league's on-goings. Even though we're approaching week 9, we haven't quite reached the half-way mark because only half of the teams have completed half of their schedule due to the bye weeks. There have been a few surprises and many disappointments. Aaron Rodgers continues to lead the Green Bay Packers to victory. There are some quarterbacks who have been under performing this season and the media have given them outs by saying this is the result of injuries to their top wide receivers. No such excuses are coming from the Packers' organization. Green Bay has lost their top three wide receivers from last season and Rodgers just keep piling on the wins. This is nothing new. Colin Kaepernick isn't playing like he's the future of the NFL. This shouldn't be a concern for any fan of the San Francisco 49'ers because he is doing what he is supposed to do, which is executing the game plan set forth by his head coach. If anything, the underwhelming performance early in the season can be attested to Coach Harbaugh wanting to show off his toy but it can't work right without the proper accessories (Crabtree). 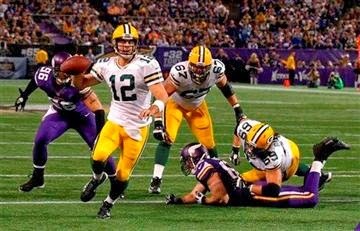 What they have done in the bay is revert back to running the ball which has been a recipe for their success in the past. This shouldn't surprise anyone. Alex Smith is a terrible quarterback. No, I don't really believe this. This is something that people like to say because he isn't putting up flashy numbers and doesn't take chances beyond the intermediate level of the defense. He is a game manager who is completing the assignment given to him by Kansas City Chief's head coach Andy Reid. Are we really going to argue with the results he has produced? Many quarterbacks in his situation will listen to the chatter from the peanut gallery and try to show people how wrong they are. Alex Smith is is playing within himself and being the best that he can be. I thought KC would do good but being undefeated is surprising. There is something really wrong with the Dallas Cowboys. This has nothing to do with Tony Romo choking away games because he is playing some amazing football this season. This has nothing to do with the over-hyped outburst by Dez Bryant in last weeks loss; I love the passion he displayed. I'd much rather go to battle with somebody that I know cares about me surviving than somebody who acts like everything is cool. Over the years, Dallas has put talented players on the field but have lost a lot of close games. Maybe it's the coaching. Maybe its the owner that doesn't know how to chill. They have the best team on paper in their division. Their results have been a disappointment. Greg Schiano has no idea how to lead a group of men. Neither the old players or new players like him. I'm really surprised he hasn't been fired yet; I can imagine this is disappointing to the Tampa Bay Buccaneers fans. Tony Dungy put in work during his tenure in Tampa and built a culture of winning football, just to have ownership sacrifice that for a quickie super bowl win. Now it seems like they've chosen to fully embrace their traditional losing culture. That's all I really have to say this time around. Next week will bring a full mid-season report. Let me know what you think of these musings in the comments section.